Open Information Extraction systems, such as ReVerb, OLLIE, Clause IE, OpenIE 4.2, Sanford OIE, and PredPatt, have attracted much attention on English OIE. However, few studies have been reported on OIE for languages beyond English. 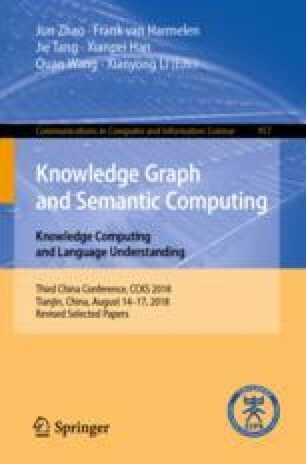 This paper presents a Chinese OIE system PLCOIE to extract binary relation triples and N-ary relation tuples from Chinese documents. Our goal is to learn general patterns that is composed of both dependency parsing roles and parts of speech from large corpus, and the learned patterns are used to extract relation tuples from documents. In addition, this paper alleviates trans-classed word issue and light verb construction issue. PLCOIE can extract binary relation triples as well as N-ary relation tuples, and experiments on four real-world data sets show that the results are more precise than state-of-the-art Chinese OIE systems, which indicate that PLCOIE is feasible and effective.